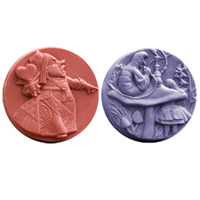 "Love, love, love Alice in Wonderland"
COMMENTS: I use my molds for making wax melts/tarts. This mold is the perfect size, shape, depth for me to make my melts, and hide a surprise inside them. I love the cute design, and my customers do too! 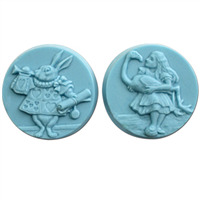 I have 2/3 Alice in Wonderland series! Love them!